Heretofore, Spot Cool Stuff’s favorite camping stove was the Jetboil. The gas-burning stove is compact, light weight and seems to have an accessory for every type of cooking. 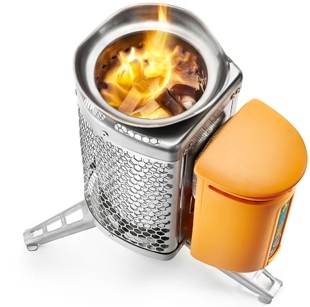 But, recently, the Jetboil was eclipsed as our choice for The World’s Coolest Camping Stove by a new offering: the BioLite CampStove. • The BioLite runs on twigs. No charcoal, fuel canisters or logs required. • The BioLite can charge a smartphone or MP3 player or most any small electronic device that can be charged via a USB outlet. Both of those tasks are possible because of the BioLite’s patented technology. Inside the stove there’s a fan that provides the oxygen flow for a hyper-efficient fire. That fan runs off a battery charged by the heat of the fire itself. In other words, the BioLite is a completely self contained system — the stove battery never needs to be plugged into a wall outlet. Because the interior fire is so efficient, all you need to boil water or cook a simple meal is a handful of twigs. Pieces of bark and pine cones work well in the stoves too. (The stove will also burn dry leaves, though that produces a lot of smoke.) If you are camping in the forest you’ll probably have all the fuel you’ll need within a few steps of wherever you set up the stove. 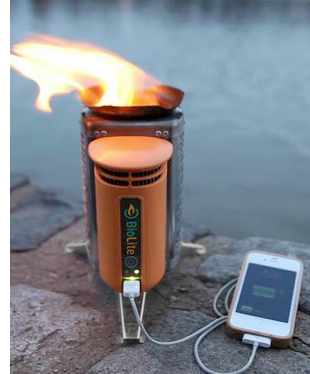 A twig-fueled fire inside a BioLite CampStove is so hot that you can cook with it and keep the internal fan running and still have heat to spare — heat you can use to provide electricity to any USB rechargeable device. With a roaring fire, the time it takes to charge a mobile device with the BioLite is roughly similar to charging a device via your laptop’s USB — slower than a wall charger, but power is definitely coming through. 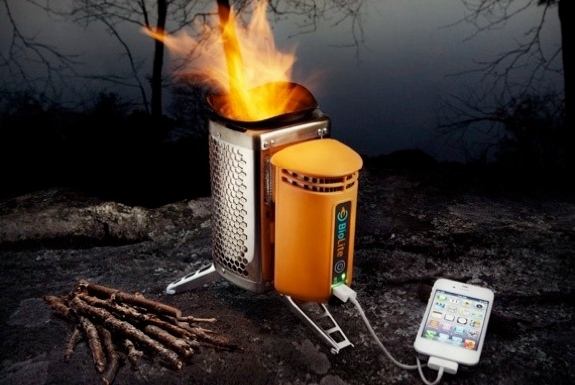 Exactly quantifying it is difficult since it depends on the device being charged and the type of wood used in the CampStove†. In one test, a 4-year old 8GB iPod nano with the battery around the 50% mark was fully charged after roughly 30 minutes of being plugged into a BioLite. All that is not to say we are prepared to abandon our Jetboil. Even after accounting for the weight of its liquid fuel, the Jetboil is lighter to carry. The BioLite CampStove weighs in at a bit more than 2 pounds (930g). The Sol model of the Jetboil system (which includes a canister for boiling water) is about half that. The Sol Titanium Jetboil weighs less than a third! The Jetboil is also an entire cooking system; you can get lightweight frying pans, French press adapters and cooking pots designed to securely fit onto the stove. Further, there’s a convenience factor with gas — with no fire to tend to, you are free to concentrate on cooking (as opposed to gathering twigs.) And if it rains all night at your camp site you can still cook with a Jetboil the next morning. The BioLite requires dry biomass to work. But that’s where the advantages end. The Jetboil and the BioLite are roughly the same size. Both will boil a liter of water in roughly the same amount of time (between 4 to 5 minutes at sea level). The BioLite CampStove is the more environmentally friendly of the two — it isn’t burning fossil fuels. 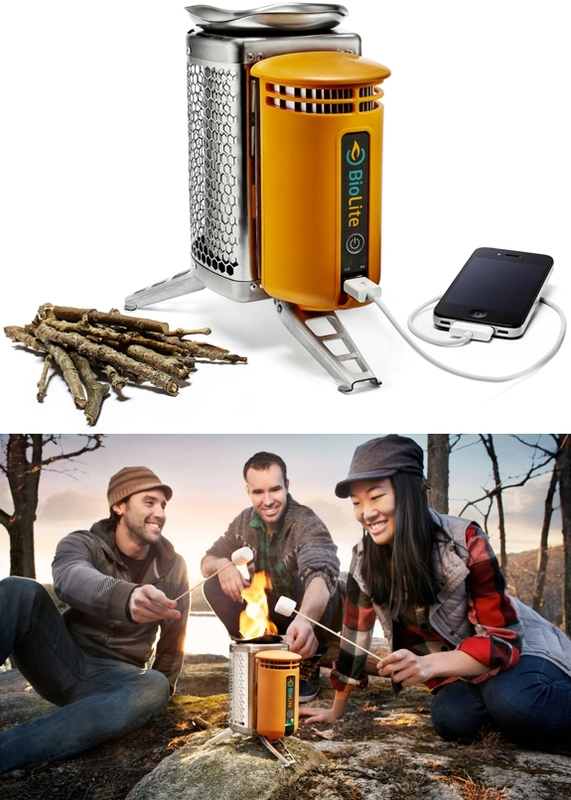 And since the BioLite’s fuel is readily available in nature you can go camping and need never worry about running out. The wood-burning BioLite solves another problem too: When flying to a favorite camping spot, Spot Cool Stuff has had to forgo our Jetboil. That’s because you aren’t allowed to bring liquid fuel onto an airplane (not even in checked luggage) and the canisters of propane and isobutane mix the Jetboil uses are only sold in specialty stores. The BioLite is airplane friendly. As for the BioLite’s USB charging, that’s more than a mere gimmick. For many campers, a charged cell phone is a necessity. 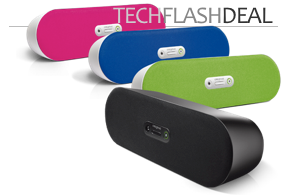 Plus there are an array of nice-to-have items that can be charged by USB, including radios, lanterns, flashlights and hiking GPS navigators. Yes, there are solar chargers you can camp with, but those charge slowly, require sunshine (go figure) and require you to buy and then carry yet one more item. At its retail price of US$130, the BioLite CampStove is also cheaper than the Jetboil, if not immediately then probably over the long run. The price of the Jetboil depends on the system you get. We use the Sol which retails for $120. Other Jetboil models range from $80 to $190. But all of them require purchasing canisters of “Jetpower” ($5~10 each) to run. The BioLite CampStove is available now through the BioLite website and will be in stores starting in Spring 2013, which leaves you plenty of time to save your twigs and find a new piece of cool gear to occupy the extra pack space you’ll have to burn. † Generally speaking, hardwoods such as oak and birch will burn hotter and longer than softwoods like pine. Sarah recently posted..The Bus Movie DVD Giveaway! I have another gas camping stove (not the Jetboil) and was just looking for a solution to the airplane problem you mentioned. This thing looks awesome!! !